What is an example of meaningful learning? "Everyman is a consumer and ought to be a producer. He fails to make his place good in the world unless he not only pays his debt but also adds something to the common wealth." 1844, “On Wealth,”quoted in Carolyn Merchant, p.179. Transformative education takes place when the interest of the participant is matched by the challenge of the tasks to overcome emotional distance, confront people with uncommon situations and spark their imaginations. Rollins Relief has provided such opportunities for students to be witnesses to the largest urban disaster in the nation’s history, to participate in history by helping to alleviate the problems associated with the loss of homes, and to learn about citizenship through actively questioning our capacity to meet people’s needs in disaster situations. Students in front of the Relief logo they panted at Camp Hope in Violet, La., January 2007. To ensure faculty and staff support for Rollins Relief. Rollins Relief is a student organization that provides all members of the College community with accessible, cost-efficient disaster response opportunities in the local region, on the national level, and in the international arena. 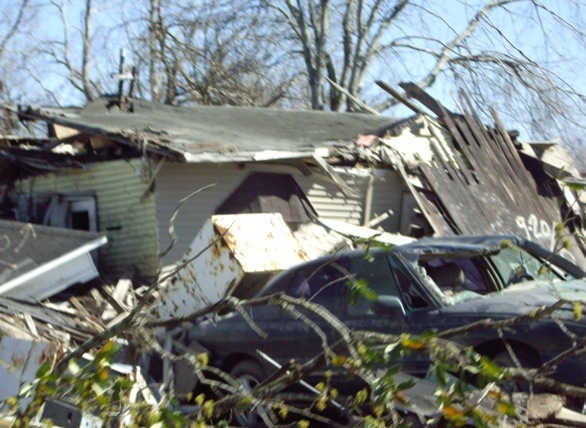 The Lower Ninth Ward of New Orleans, in March of 2006, six months after the hurricanes. On August 29, 2005, having survived a category-five hurricane, the flood walls surrounding the city of New Orleans failed. Eighty percent of the city lay under water. Just down river in St. Bernard Parish, storm-driven floodwaters of the Gulf of Mexico swept away all but a handful of homes inundated after the storm had passed. With respect to the historical, ethnic, geographical, economic and sociological significance of the urban area of New Orleans is an unsurpassed regional treasure and a national cultural site of truly rare significance. In that sense the existing city provides a living laboratory in which faculty, staff and students may recognize how best to meet other people’s immediate needs while learning how social institutions either inhibit or enable the recovery and relief process from a major national disaster. Michael Grunwald, The Threatening Storm, Time Magazine, August 13, 2007, pp, 28-39. Fischetti, Mark, “Drowning New Orleans,” Scientific American, October 1, 2001. (Sciam.com). Joseph Siry, Marshes of the Ocean Shore. We want to maintain and reinsure successful co-curricular ties between community engagement opportunities and the academic courses that ought to nourish our student’s curiosity and deepen a participant’s understanding of socioeconomic problems associated with urban recovery and disaster relief. Such inquiry ought to fuse the divergent perspectives of social sciences, natural sciences and the humanities with respect to comprehending New Orleans’ slow recovery as the largest urban disaster in the nation since the 1905 San Francisco earthquake, or the 1889 Johnstown flood. The goal of this project is to continue to provide the opportunity for a transformative learning experience to any Rollins student who expresses a desire to do relief work in significantly distressed geographical settings. Interested faculty wish to provide a co-curricular means for students to receive peer education, do collaborative research, and work with sponsors to promote civic goals while delivering disaster relief. Create a learning community that fosters reflective experiences for students, staff, and faculty in the recovery work, which ensues after major regional or local disasters, such as the rebuilding of homes in New Orleans, because this allows students to be part of history and to become transformed by a week of intensive emotional, intellectual and physical exercises to restore homes lost in the deluge. "Many do not know that these people are still struggling to rebuild their homes and their lives. I believe that we as Rollins students have a very important duty to aid the citizens of New Orleans in rebuilding their homes, so they are able to focus on rebuilding themselves and coping with their losses. Students who participate will be faced with inner conflicts to solve ..."
"Rollins Relief is a great organization that exists to help others during such tragedies such as Hurricane Katrina. Much work still needs to go into fixing this community [New Orleans] to make it better than it was before. " "Often Americans are faced with tragedies that occur around the world and are detached emotionally because the tragedy is not tangible and they are censored by images on the news. 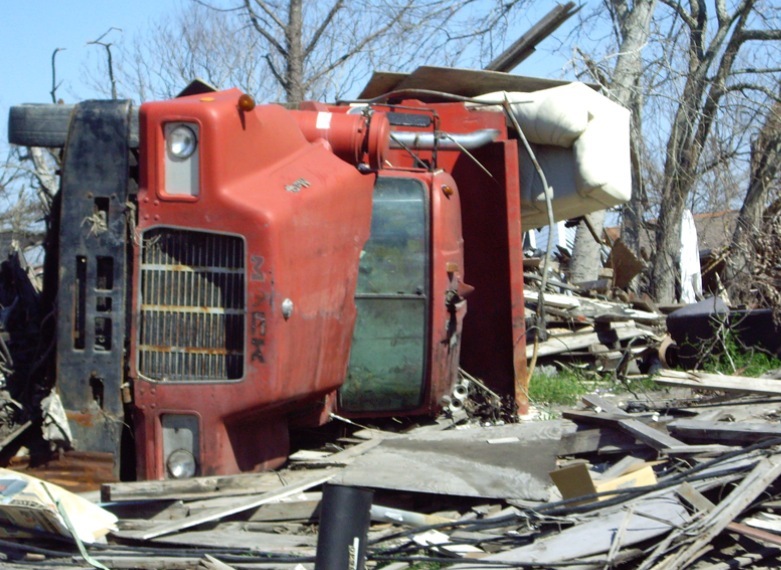 After days or weeks we all tend to forget the pain that victims of tragedies, such as the tragedy of Hurricane Katrina, are still suffering through. Now, over two years since the hurricane hit, students are given the opportunity to see how that one hurricane is still reflected in the daily lives of the people of New Orleans and the surrounding areas. Every student should have the opportunity to learn and grow in such a deeply emotional and rewarding way." "... in high school, I wanted to help raise money for Katrina Relief, but I didnt have the connections or the support. Now that it's here, staring me in the face, I feel that this is my calling. This is helping humanity in its purest form, and I think it would be extremely beneficial to all participants. A trip like this, one without 5 star hotels and cabana boys, would be a huge wakeup for several people at this school. For me, it'd be a great reminder of the good in people, and in the world."